Here is the chronology of an overseas income opportunity. 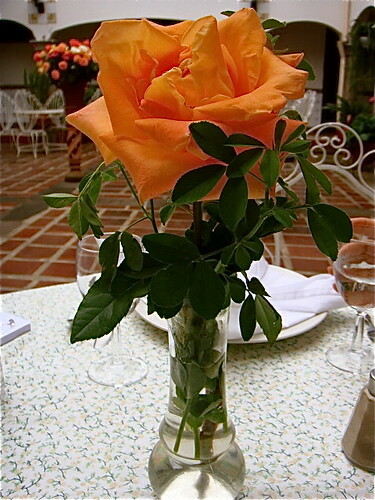 We have Ecuador roses everywhere we go… in our home… in our hotel in Ecuador… in our business. We sell Ecuador roses and pass all proceeds on to help the poor in Ecuador. Ecuador roses provide great beauty in our lives… but we also feel that Ecuador flowers offer a good business opportunity. This article showed a way to take advantage of the current economic downturn in the last two years nearly 30% of America’s florists have gone out of business. That article pointed out how premium flower parties could create a new, fun and fulfilling way for Americans to have top quality fresh flowers in their homes. Gary, one of your readers has experience with Party plans and will try a Flower Party July 18th. Here is what she wrote: Hello Roberto, It was a real pleasure speaking with you yesterday! Some thoughts on what the party plan could offer; it’s best to have a selection of price points because “women hate to be sold but they love to buy.” If all that is offered is a $19.99 bouquet it will feel like an admission fee. There needs to be a little bouquet that is suitable for a bedside table or a desk. It should be delicate, maybe two alstromeria and a sprig of babys breath, maybe with a stem of spray roses. Small, sweet, lacy, Victorian. Even priced so that two could be purchased for a little higher cost than the target bouquet. Any woman can justify buying something for herself if she is also buying that item for a loved one. This would also be a good gift for the hostess. It could be the first bouquet to be demonstrated because it would be quick and easy and all the ladies would go ‘oooh &amp;aaaaah’! An introduction bouquet so people can find out the quality of the product. Then the standard bouquet at $19.99, using more stem length for a dramatic look. Then a truly regal bouquet for the woman without budget constraints, perhaps two standard ones grouped with the addition of liatris for a larger profile or something like seeded eucalyptus for a very lush look. She has now conducted the party and sent Roberto this note. People were thrilled with this presentation… I gave them information on how to take care of roses, how the FloraVerde program works and then did a demonstration bouquet. After that they came up individually and chose their flowers. Everyone got the same flowers but could choose different colors. I gave them your website (WebFloweMarket.com) and it will also go in the newsletter as a reminder. People loved it… rarely has a program had such positive feedback. This has much more potential as a garden club demonstration than as a party plan, in my opinion. See another reason why an Ecuador flower business may do well at Ecuador Lily Chronology.